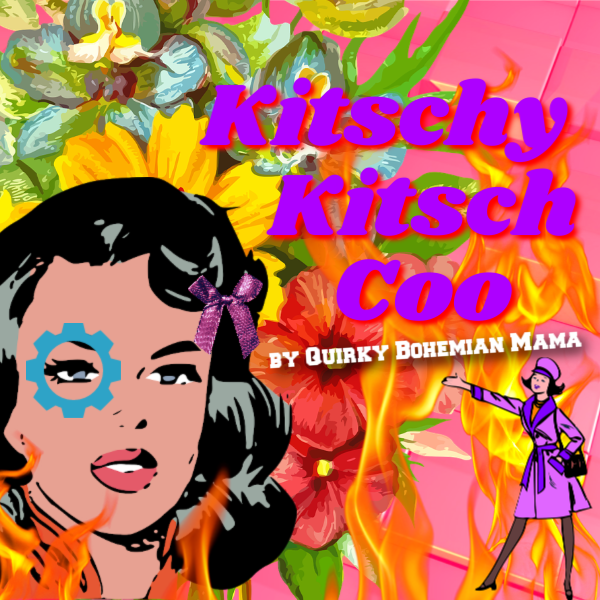 Ok, this is probably going to be the worst recipe blog post you have ever seen. First of all, I'm not a food blogger. Second, I'm not a photographer - I just have a nice camera. Lastly, I had never even heard of advieh until I got my Rawspicebar package in the mail last week. I stared at the packet of spice and scratched my head in confusion. Advieh? Persian cinnamon advieh? What on earth have these people sent me this time? I read the ingredients and became intrigued but I was still incredibly confused as to what I could do with it. I finally just opened the packet and smelled it and...oooohhhh!!! Lovely! The sweet fragrance made me instantly think muffins but I don't have any muffin baking stuff. Meh. Oh, well. Time to get brave! Let's bring on the meat! I raided the freezer and found we only had pork, pork aaaaand more pork. So pork it is! Pork loin back ribs to be exact. 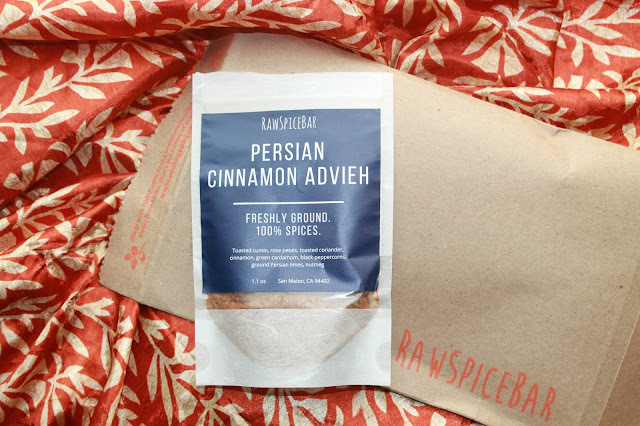 Rawspicebar's Persian Cinnamon Advieh consists of freshly ground toasted cumin, rose petals, toasted coriander, cinnamon, green cardamom , black peppercorns, ground Persian limes and nutmeg. The lime and rose really stand out in this mix and it is a heavenly aromatic combo. So how did I make 'em? • Large pot filled with enough salt water to full submerge the ribs. I used about 1/2 cup of salt in about 6-qts of water. • A shallow baking dish. I used a large glass casserole dish. Te begin with, I did something I really didn't want to do. I boiled my ribs first. I only did this because I didn't have enough time to put them in the crock pot and be done in time for dinner. Cooking your ribs in a crock pot before baking them makes them waaay more tender so I recommend doing that instead if you can. 1. Bring your salt water to a boil, submerge your ribs - make sure they're fully covered. 2. Cook the ribs until all the blood and marrow (the stuff inside the bone) turns brown. Should take up to 10 minutes. Check on them often as it is very easy to overcook the meat and your ribs will be tough. 3. 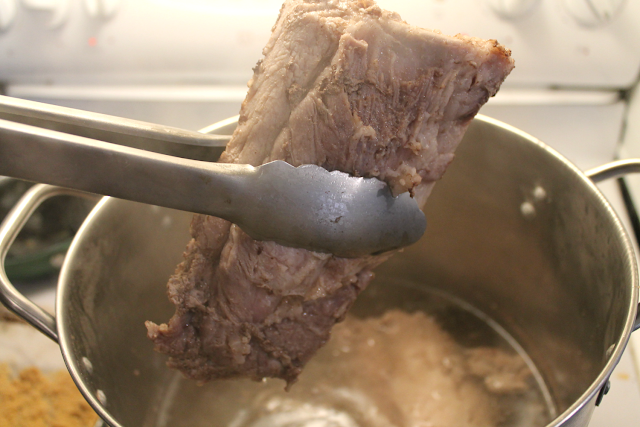 When they are fully cooked, take your ribs out the water and allow the water to drip off. Place them in your baking dish and allow them to cool until they're cool enough to touch comfortably with your bare hands. 4. 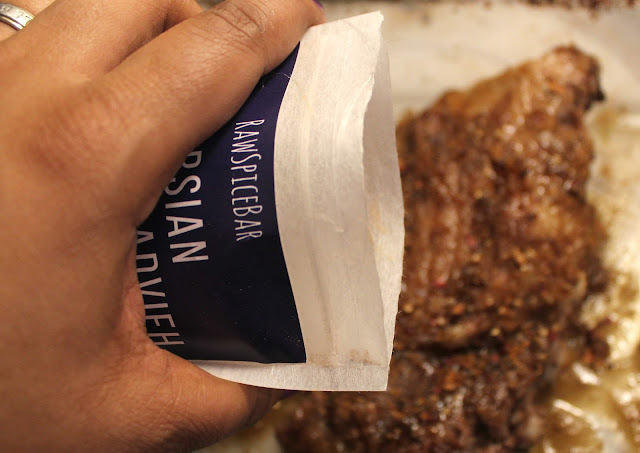 Rub olive or coconut oil on the front and back of the ribs. 5. Coat the ribs with brown sugar and advieh and rub it in thuroughly. 6. 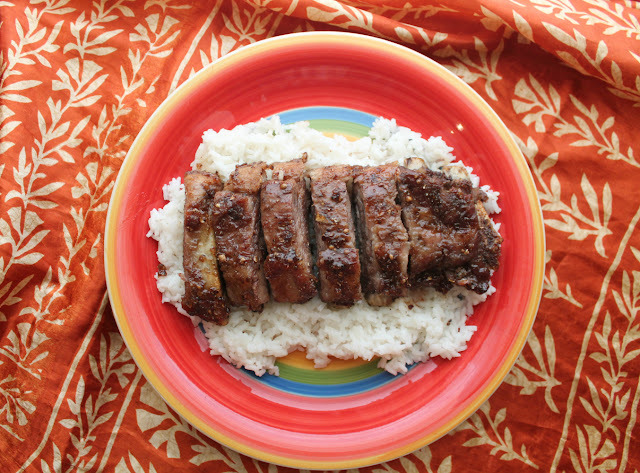 Put your oven's broiler on HIGH and broil the ribs until the brown sugar begins to bubble. Should take about 5 minutes. Flip your ribs and broil the other side for about 5 minutes. NOTE: After boiling and seasoning, you can also put the ribs on the grill instead of broiling them to get a good smokey BBQ flavor! I totally did let my ribs boil for too long. I got distracted while I was cooking and left them on the stove a few minutes too long. The ribs I sampled fresh out of the oven were tender but I waited for my husband to come home to actually eat the meal and the thicker ribs had toughened up quite a bit. Not too bad, though. The flavor was amazing, the ribs were sticky and sweet. Oh, boy! 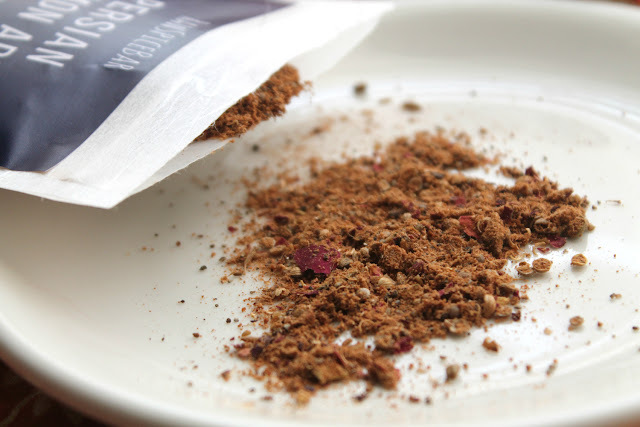 You can taste every single thing used to make this spice blend. Like I mentioned before, the lime and the rose were key players in the flavor department and they worked beautifully together on the meat. 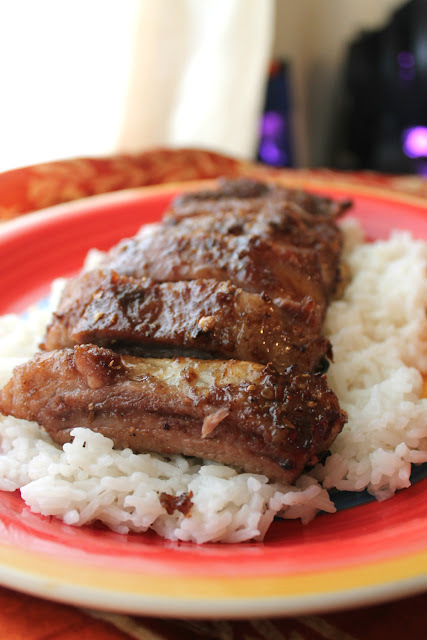 I served the ribs with plain white rice and buttery baked sweet potatoes. Great combo! 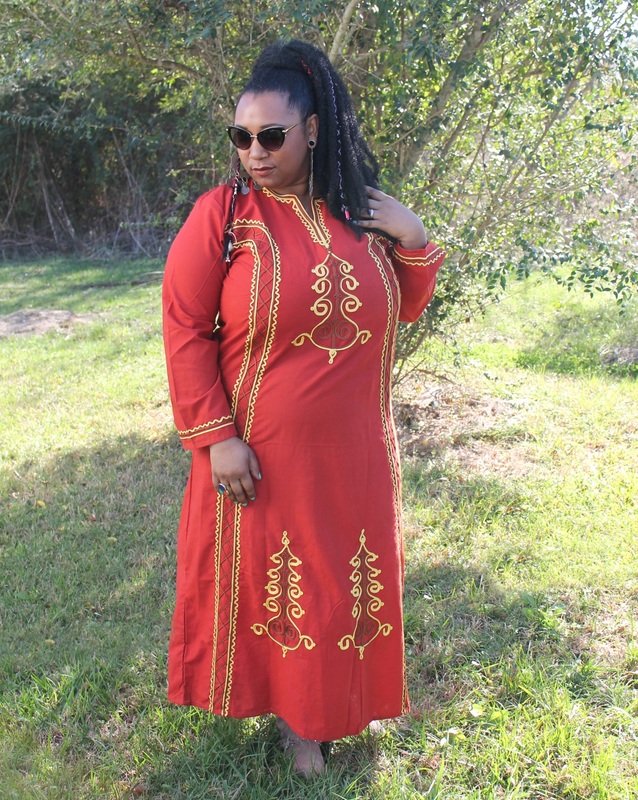 If you would like to to try out the advieh and other exotic spice blends like it, check out Rawspicebar's website. Rawspicebar is a quarterly subscription service that delivers fresh spices, unique blends and salts right to your mailbox! You can also buy individual spices without subscribing and the website has a huge selection of recipes and even guides to show you how to use your spices! So what do you think? Would you like to try some advieh ribs?? 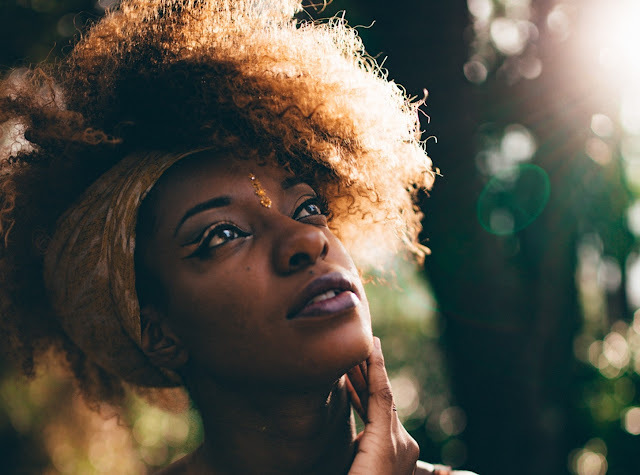 Let me know what you think in a comment below!